The Planning Division is responsible for advance planning, development review, public information, and permit processing within the City. 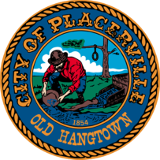 These responsibilities include administering the City's General Plan, Zoning Ordinance, and California Environmental Quality Act Guidelines. The Division provides staff support to the City Council and the Planning Commission. Planning Division staff is available from 8 a.m. to 5:00 p.m., Monday - Friday (except for Holidays). Services between 12:00 p.m. and 1:00 p.m. may be limited. Appointments are required for submittal of planning applications and other detailed inquiries such as those relating to parcel splits, subdivisions, rezoning and pre-meets for entitlement applications. The Development Services Department is tasked with enforcing City code requirements with the Planning and Building divisions in what is defined as Code Compliance click here for more information .